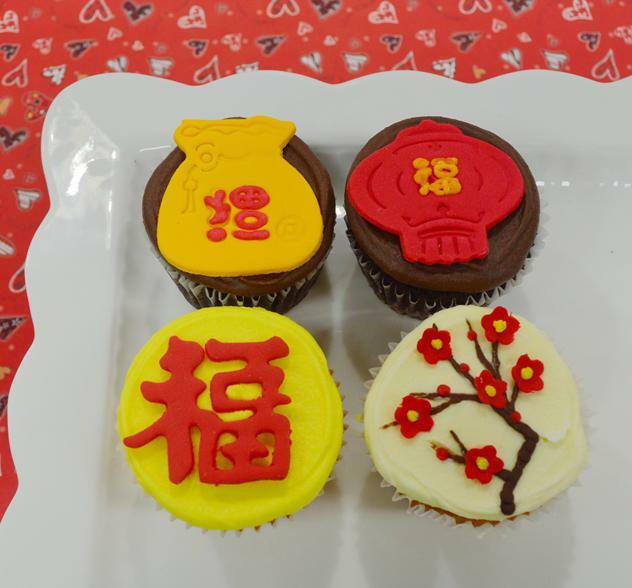 Celebrate Chinese New Year in Shanghai with festive cupcakes. Two chocolate and two vanilla cupcakes festively decorated to celebrate the Year of the Rooster. The set includes a traditional red envelope, a cherry blossom and traditional festive Chinese clothing. Available through Chinese New Year. Perfect for parties and great for gifting.